With only so many hours in a day and the millions of great articles out there for the business person, how can we possibly find them all? There is no way that we can read every great article out there, but there is an excellent way to find several of these articles in one paper waiting to be read. 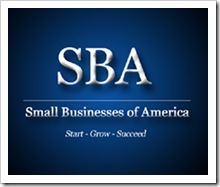 Small Business of America (SBA) puts out an online paper everyday full of the top stories for the small business person. I have been reading this paper for over a year and each day I find more articles to read than what I have time for. It is a great hub for the best of the best articles and it can be delivered right to your mailbox each day. If you have not had a chance to look at this paper the link below will take you there. This entry was posted on Tuesday, May 26th, 2015 at 8:00 am by Tina Del Buono, PMAC. Filed under Business Improvement, Educational Tips, Manager Topics, Self-improvement. You can follow any responses to this entry through the RSS 2.0 feed. Both comments and pings are currently closed.